PML-N has done well to appoint Anusha Rehman as the new IT minister. She has already been part of the national Information and Communication Technology (ICT) domain and what a marvelous opportunity she is looking at now – an opportunity to create thousands of jobs, help provide education, health and other government services at the doorsteps of millions of Pakistanis, increase software and services related exports by tens of millions of dollars, and generally catapult Pakistan to the 21st century! ICT is a fast moving high-tech sector where policies get outdated very fast anyway and in Pakistan, it has been a decade. The government should take up the job of creating new ICT policies urgently with input from all stakeholders. However, I do feel strongly, that in the meantime, there is no need to wait for the policies to be in place before starting the long delayed vital ICT development programs. This may or may not be a part of the ICT policy, but broadband deserves special treatment. The impact of broadband on the Millennium Development Goals (MDGs) is now widely acknowledged. Since 2010, the UN Broadband Commission for Digital Development has been actively helping countries prioritise the roll-out of high-speed broadband networks through National Broadband Plans, to support their goals of inclusive economic growth and competitiveness in the information age. More than 100 countries across the world have already formulated Broadband Plans. Optic Fiber Highways are like the road highways of the yesteryears. Most of the countries have realised this and are working feverishly to increase fiber penetration (Indonesian ‘Palappa Ring’, Nigeria’s ‘Btrain’, Australia’s National Broadband Network, India’s Bharat Broadband, etc). When I was at the Universal Service Fund (USF), we made good progress in the program; “Optic Fiber to every Tehsil”. Now the need is to extend the Fiber to all the 6,000-plus union councils, terminating at the Community Telecenters there. Even in the short-term, thousands of jobs will get created. High-speed broadband connected centers could become the source of all kinds of information for the villagers. Each center, equipped not only with PCs and allied equipment but also WiFi hotspots and renewable sources of power, should be run and managed by rural development organisations that have roots in those areas with professionally trained trainers and relevant local content. The broadband connectivity available at these centers could then be extended to neighbouring schools, healthcare centres, post offices and government offices etcetera – the so-called “anchor customers”. Out of all the destinations of broadband, none is more important than schools. ICT is all-encompassing as it impacts every sector of the economy. Therefore if our new generation does not grow up with knowledge of using ICTs, they will be nowhere. But one has learned that connecting schools with broadband is not all. One needs to have the provincial education and school administrations on board, develop/provide relevant local content (with links to the curriculum), create portals, implement child protection policies, and train the teachers. In fact train, train and train. It is a pity that even Afghanistan has 3G and we don’t! Worldwide there are more than two billion 3G subscriptions – more than 70 million in India. The PML-N manifesto favours 4G (100 million worldwide), however mostly the spectrum licenses are technology-neutral. It is the private sector that then goes for the most viable technology in the given spectrum band. But there is simultaneous space for 3G as well as 4G. Therefore spectrum for both should be auctioned, with less emphasis on the price and more on wide-spread, time-bound roll-out obligations. Fortunately in ICTs, budget constraints of the government are no worry. But the government has to provide clear policies, fair regulations, level playing field, to promote competition and let the citizens enjoy the fruits. If at all the government has to intervene with is cash, it is in areas which the private sector doesn’t find lucrative enough. And for that there is the Universal Service Fund! It is the private sector which brought the 2G revolution to Pakistan (along with massive amounts of Foreign Direct Investments) and it is the private sector which should be given the challenge again. To the private sector, all I have to say is that, with a stable government in place, manned by competent people at the top, it should have no hesitation in contributing it’s share in a big way. 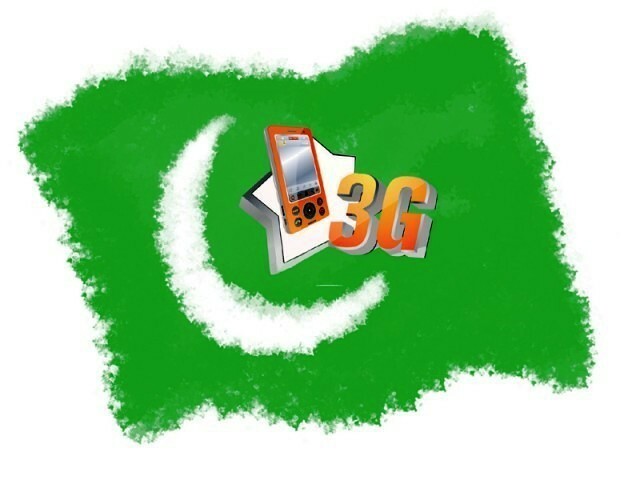 I think rather than talking about 3G Infrastructure PMLN government must issue licences for LTE ( Long Term Evolution ) that encompass 3G, 4G and even beyond. 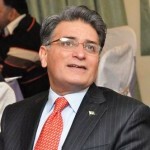 Also for far off places of KP, Punjab, Balochistan, Sindh and Kashmir we need a Satellite based broadband infrastructure like ASTRA2Connect ( SES Broadband Europe ) and government must issue funding to SUPARCO to develop telecommunications satellites to have cost cutting by indigenous development. What if Electronic voting system to be prioritized while simultaneously with other projects? Does the article author get to moderate the comments section ? It would appear so because anything critical is deleted and sarcasm is simply not tolerated. We as a nation should learn to accept criticism and possibly use it to change and amend our ways. Unfortunately, we tend to take criticism too personally and become defensive.